Whether you are looking for a comprehensive eye exam, new glasses or contacts, our Clinton Optometrist’s and Opticians are ready to serve you! The Eyecare Specialties office in Clinton offers outstanding customer care as well as an amazing selection of eye wear for their patients. 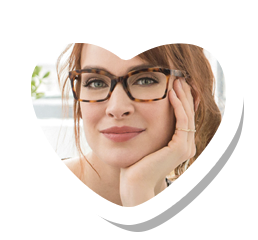 Whether you are looking for glasses, contacts or kids eye wear, the team in Clinton are ready to help you get the perfect fit to match your needs and your lifestyle. ✔ Eye doctors, opticians and staff that care about the health and well being of every patient, in a efficient but non rushed eye care experience. ✔ Our commitment to you is a caring and warm, efficient, and professional experience. ✔ Whether you are looking for a new pair of designer frames, sunglasses or glasses for children, our optical has you covered. ✔ You don't need to travel to find professional service - it's right here in Clinton! Want to Schedule an Eye Exam? Need to update your Eye Prescription? Time to stock up on Contact Supplies? Comprehensive Eye Exams done Right! Our professional staff will use the most advanced eye examination equipment available to ensure that they get more than just your prescription updated. We look at your overall eye health and can even gain insights into your general health too. Whether you need a regular eye exam, an exam for contact lens usage or you need an emergency exam, we are ready to help. A comprehensive eye exam includes a series of tests using a selection of advanced equipment to evaluate the quality of your vision and the health of your eyes. These tests range from simple ones, like having you read an eye chart, to complex tests, such as using specialized equipment to examine your retina and the inside of your eyes. We recommend you have a comprehensive eye exam every one to three years, depending on your age, risk factors, and physical condition. Our Lee's Summit office offers a broad selection of contact lenses including bifocal/multifocal, toric, disposable soft contact and colored lenses. Whether you wear conventional (vial) lenses or daily, weekly or monthly disposables check out our selection of lenses. Johnson & Johnson / Acuvue Contact Lenses- This brand includes a broad range of daily use contact lenses for astigmatisms, presbyopia and more. Bausch & Lomb Lenses- They have several well known brands including: PureVision, Soflens and other Bausch & Lomb lenses offering high definition vision and other benefits based upon your needs. CooperVision Contact Lenses- With their Proclear and Biofinity product lines, they offer a great selection of daily, weekly and monthly lenses. Alcon- The Alcon family of lenses has lots to offer including breathable dailies and color contact lenses; Dailies Total1, AirOptix, Freshlooks and ClearCare. What glasses best suit your face's shape? A full service Optical with designer frames to meet your budget and match your style. A wide variety of medical eye care services such as dry eye treatment, eye emergency urgent care, and management of eye diseases. The latest technology for the most advanced eye care available. We look forward to helping you to achieve your best vision, look your best, and feel great!